A recent survey of 1,000 employees across UK businesses employing more than 500 people, conducted by CENSUSWIDE on behalf of Xexec, revealed that over a third of employees feel undervalued. 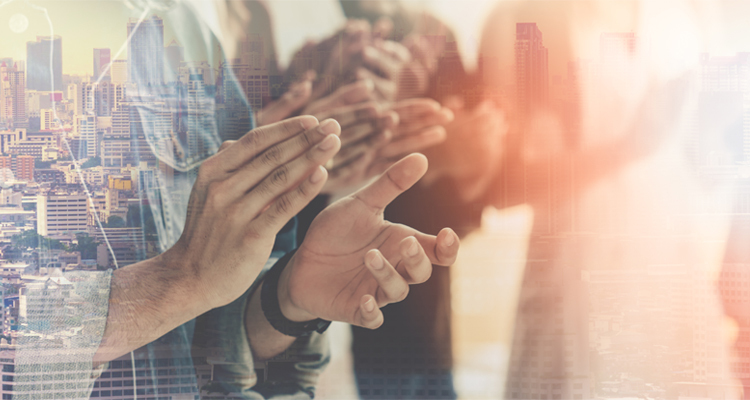 It’s a stark indication that big businesses have a long way to go when it comes to making employees feel appreciated and recognised – a point reinforced by the finding that a third of companies don’t have an employee recognition scheme in place. You don’t need to be a statistician to see a possible correlation here. The benefits of implementing an effective reward and recognition programme are numerous and well-documented. Employees who feel appreciated are more likely to be motivated, engaged and feel loyal to the business, whereas those who do not feel recognised and valued will have a more negative view of it – a view they may feel compelled to share. Our survey found that over a third of employees would be unlikely to recommend their current employer to friends; so, not only do you run the risk of losing staff, the damage to your reputation as an employer can make the recruitment process even more difficult, time-consuming and costly. There is such a straightforward business case for a reward and recognition scheme that it feels surprising that so many businesses have neglected to invest in one within their organisation. This issue is particularly important in larger businesses, where there is a greater risk that employees could feel like small cogs in a large machine, and where their individual efforts and achievements are more likely to go unnoticed. A wide-ranging reward and recognition scheme which caters to the diverse demographic that makes up a large workforce can go a long way to mitigate this, helping to foster a sense of loyalty amongst your staff. 'Personalisation' is a current buzzword when it comes to rewarding staff – and with good reason. Offering a one-size-fits all scheme, where employees’ achievements are all rewarded in the same way, regardless of who they are and what they like, is not going to make much of an impact on how valued they feel. Say you give a bottle of wine as standard for exceptional performance; how do you think this will make someone who doesn’t drink feel? Certainly not recognised. It could even have a negative impact, leaving the recipient feeling insulted or offended. For reward and recognition to be really effective, it’s essential that you get to know your employees and start to understand what motivates them as individuals, rather than treating them as a faceless mass of generic employees. Whilst personalised reward and recognition programmes may sound expensive and time-consuming to implement, but they really don’t need to be. The gestures you offer do not need to be extravagant, or even financially-based at all. Our survey revealed that other factors, particularly those related to work-life balance and employee recognition, have an important role to play alongside financial rewards and incentives. There are a whole host of ways to reward and recognise your staff that don’t need to break the bank; indeed, one of the most effective ways to make staff feel appreciated – saying thank you – is free. A study by Glassdoor found that 80% of employees would be willing to work harder for an appreciative boss and 70% said they’d feel better about themselves and their efforts if their boss thanked them more regularly. And studies into the neuroscience and psychology of gratitude indicate that the act of saying ‘thank you’ can even have benefits for the person expressing the thanks. Another reason that staff may be feeling undervalued in big business is a lack of focus on their wellbeing. People are increasingly less likely to accept working in an environment where their physical and mental health is neglected or negatively impacted – and this is particularly true amongst the younger generations: ‘millennial’ and ‘Generation Z’ workers are much more conscious of looking after their emotional and physical needs. And yet nearly half of employees surveyed felt that their employers weren’t interested in their physical and mental wellbeing. This is a worrying stat. Of course, the finding does not provide definitive evidence that these employers do not have appropriate processes and resources in place to take care of their staff – but if they do, they are clearly not communicating them effectively. Visibility of your reward and recognition programme is almost as important a factor in its success as what is on offer. Make sure that you give consideration to how you will promote it internally, and ensure that it is available through an accessible and user-friendly portal. Many businesses create a portal that can be accessed through mobile, tablet and desktop devices to ensure maximum up-take and impact. In an increasingly competitive jobs market, employee retention inevitably becomes a far more important factor in running a successful business. This is true in businesses of any scale, but the challenge, as our survey shows, is particularly great for big businesses with large workforces. Ensuring that all staff feel valued and recognised through an effective reward scheme can go a long way to help ensure that your employees don’t start to look for a new role, in a business where they do feel appreciated.